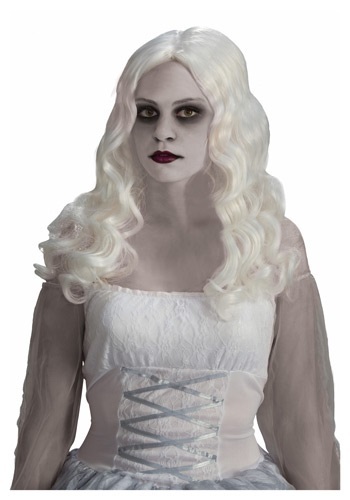 Here’s a true fact that we didn’t just make up: when people turn into ghosts, their hair doesn’t start out as white. However, when they first look into a mirror, they themselves are so spooked at their new ghastly looks that their hair actually turns white in fright. They get over their frightening new appearances in time, but their hair never turns back to its original color. If this doesn’t sound plausible to you it’s because you need to open your mind more. Do you really think you’d read something that isn’t true on the internet? The Spirited Wig is the necessary accessory to any ghostly costume. Its pale billowing locks will unsettle even the bravest, and it’ll make you look eerily good. Any self-respecting ghost wouldn’t be caught dead without it!